Wishing a glorious Easter to everyone! Both Easter and Passover are not far now. In fact, I took down the St. Patrick's Day flag and lights, and put up Easter flag and lights today. Palm Sunday is a Christian moveable feast that falls on the Sunday before Easter. The feast commemorates Jesus' triumphal entry into Jerusalem, an event mentioned in each of the four canonical Gospels. It initiates Holy Week, the last week of Lent. In many Christian denominations, such as the Lutheran, Methodist, Catholic, Reformed, Presbyterian, and Anglican Churches, worship services on Palm Sunday include a procession of the faithful carrying palms, representing the palm branches the crowd scattered in front of Jesus as he rode into Jerusalem. The difficulty of procuring palms in unfavorable climates led to their substitution with branches of native trees, including box, olive, willow, and yew. The Sunday was often named after these substitute trees, as in Yew Sunday, or by the general term Branch Sunday. You've heard of the Christmas "snitch", Elf on a Shelf? Santa's helper who watches the kids and reports back to Santa if they've been good? Well, Easter is getting in on that act, with a helper for the Easter Bunny, the Peep on a Perch! Step aside, Elf--Peep on a Perch is the newest holiday tradition around! Peep on a Perch is a book and plush boxed set that makes the perfect Easter gift. The storybook, perfect for boys and girls ages 3 to 7, tells how the Easter Peep assists the Easter Bunny every year. 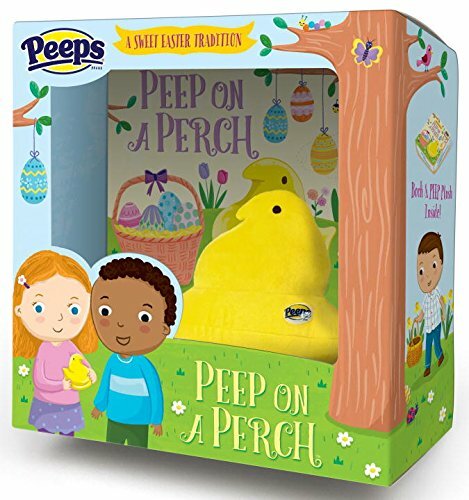 The adorable Easter Peep helps decorate eggs and fill baskets, and sees all the acts of kindness a child does in the days and weeks leading up to Easter. The soft plush Easter Peep included in the set can be perched anywhere throughout the home. Children will be proud to have the Easter Peep watch them being good all day as they get ready for bed without making a fuss, help out around the house, and use good manners. And the more kindness the Easter Peep sees, the happier the Easter Peep gets! PEEPS® fans of all ages will love to make this a new Easter family tradition. PEEPS® is an iconic brand found in Easter baskets everywhere with a heritage spanning over 60 years. PEEPS can also be found in the every day candy aisle, and is seasonally relevant at Summer, Halloween, Christmas, and Valentine's Day. Wrong holiday for this time of year, but I found this while looking for Peep on a Perch. Even Jewish children can now have their own "snitch" for the holidays, as the time of Hanukkah brings us the Mensch on a Bench! 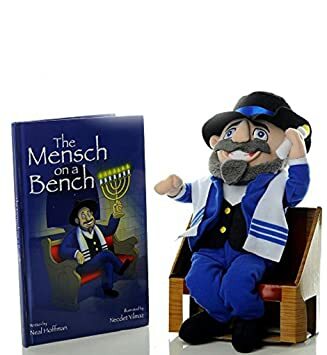 "The Mensch on the Bench," is a book and doll set created by Jewish father and former Hasbro Toys marketing executive, Neal Hoffman, in an effort to teach his sons about the Jewish holiday Hanukkah, all while adding a new tradition to his family. The doll is a stuffed toy that looks a bit like a rabbi or a Hasidic Jew and is named Moshe. The accompanying book tells the story of Moshe the Mensch who helped Judah Maccabee at the temple by keeping the Shamash candle lit and by watching over the menorah and remaining oil during Hanukkah for eight days - when there was only enough oil left for one day. Moshe played the dreidel, loved coins made of candy called Gelt, and was a true mensch to the children and their families during this difficult time.